The number of journalists and media professionals worldwide, who have been killed in 2015, fluctuated between 98 and 133, depending on the source. That is much higher than in 2014. Iraq was again the deadliest country with 48 victims. No Western news agency mentioned the reports of Iraqi journalists associations. « Embedded Journalism »: an analysis of the available sources. A total of 110 journalists were killed in connection with their work or for unclear reasons in 2015, according to the round-up published on 29 December by Reporters Without Borders (RSF), which is in a position to say that 67 of them were targeted because of their work or were killed while reporting. These 67 deaths bring to 787 the total number of journalists killed in connection with their work since 2005. It has not been possible to clearly establish the circumstances or motives of this year’s 43 other deaths of journalists. Twenty-seven citizen-journalists and seven media workers were also killed in 2015. The RSF report condemns the failure to protect journalists and calls for a response to match the emergency. “The creation of a specific mechanism for enforcing international law on the protection of journalists is absolutely essential,” RSF secretary-general Christophe Deloire said in the report. The International Federation of Journalists (IFJ) is the world’s largest organisation of journalists. First established in 1926, it was relaunched in 1946 and again, in its present form, in 1952. Today the Federation represents around 600.000 members in more than 134 countries. 115 journalists were killed in 2015, 10 journalists were killed in Iraq, according to IFJ. Syria and France were the deadliest countries for journalists in 2015, according to the report, released 29 December 2015. CPJ found that there were 69 journalists killed for their work (motive confirmed), with 40% of those killed by Islamic militants, nine of those in France. That is up from 61 confirmed killings in 2014. There are also an additional journalists deaths CPJ is investigating but has yet to determine whether or not they were work-related. Deaths included reprisal killings and those killed in combat or crossfire. Syria topped the list with 13 deaths, followed by France with 9, all but one of those due to the attack on the offices of satirical magazine Charlie Hebdo in January 2015 that left 8 dead. For the past three years, deaths in Syria have far outpaced those in other countries, but in 2015 the deaths were also widely distributed, according to the study, with at least five each in Iraq, Brazil, Bangladesh, South Sunday and Yemen. That’s 98 murdered journalists, 5 of them in Iraq. UNESCO has listed 98 murdered journalists in 2015, among them 6 killed in Iraq. Press Emblem Campagn (Geneva) Summary for 2015: 135 journalists killed in 33 countries: Syria 13 killed, Iraq 10, Mexico 10, France 9, Brazil 8, Libya 8, the Philippines 8, India 7, South Sudan 7, Yemen 7, Pakistan 6, Somalia 6, Honduras 5, Colombia 4, Ukraine 4, Bangladesh 3, Guatemala 3, Afghanistan 2, USA 2. One journalist was killed in each of the following countries: Azerbaijan, Burundi, Dominican Republic, the Democratic Republic of the Congo, Gaza (OPT), Ghana, Indonesia, Kenya, Mali, Mozambique, Paraguay, Poland, Saudi Arabia. Twenty-eight journalists were killed in Iraq in 2015, the Press Freedom Advocacy Association in Iraq said in a recent report. The association said 17 of the victims were killed by IS. In 2015, the press community in Iraq witnessed a rise in risk and new channels of danger threatened their work and lives. Press Freedom Advocacy Association in Iraq recorded that 28 journalists have been killed in all parts of Iraq due to their duty. 25 journalists were subjected to serious injuries that they had sustained during military operations that they covered. The fate of four journalists remains unknown. 180 cases of violation were recorded against journalists varying between killing threats, imprisonment, arresting, beating, and obscuring or delaying duty. More than 307 lawsuits and 497 investigations were filed against journalists or media institutions at the Media and Publishing Court alone. Most of them were under the item of “Publishing, Defamation, and Denouncing crimes”in the Iraqi criminal law no. 111 /1969, and other laws inherited from the previous era and all its stipulations were reactivated under the title of “press rights” that was legislated by Iraqi Parliament in August/2011. In spite the fact that targeting, abducting and killing journalists by ISIL are the main features of the media scene during 2015, legislation remains the primary risk that endangers freedom of expression in Iraq, especially the efforts exerted by political powers to enforce new legislations that threaten the freedom of expression and undermine democracy, especially the bill on freedom of expression and peaceful demonstration. The latest bodycount brings the death toll of journalists in the country to 435 since the U.S.-led invasion in 2003. « There is fear for the safety of the Iraqi Journalists, who are still vulnerable to more attacks in the absence of the rule of law and ignorance of some government departments for the positive role of the press in correcting the courses of the political performance as well as detecting errors, » said a report by the Iraqi Journalists’ Syndicate. The US occupation of Iraq proved the deadliest conflict for journalists in history. Until the end of 2015, 470 media professionals died in Iraq, according to the Brussells Tribunal database, 437 of them Iraqis. Iraq was in 2015 again the deadliest place on earth for media professionals, as this was the case in 2003, 2004, 2005, 2006, 2007, 2008, 2010, 2011 and 2014. If we look for murdered journalists in Iraq and we compare the above lists and other press articles, we have to conclude that at least 48 journalists and media workers were slain in Iraq in 2015. That’s a lot more than the five of CPJ, the 11 of RSF, the 16 of IPI, the six of UNESCO and the 10 of PEC and IFJ. It is particularly noteworthy that only the Chinese news agency Xinhua mentions the report of the Iraqi Journalists Syndicate in English. The report itself is indeed only available in Arabic. Many Asian countries mention this report, but no Western news agency nor any Western newspaper makes an effort to investigate the Iraqi figures, let alone make reference to the two Iraqi reports. That is, at best, sloppy work, at worst an expression of contempt for non-Western sources, Eurocentrism. The aforementioned Western organizations, which should defend the interests of the journalists, have abandoned their colleagues in Iraq for 25 years. « Embedded » journalism is a phenomenon that has occurred in war zones since 2003, now it appears to have spread to all areas in Western society. 1- 2/1/2014: Islamic State militants executed journalist Suheil Najem, working for after returning to his home in Shirqat north of Tikrit. 2- 14/1/2015: ISIS executes Suheil Alduleimy, a presenter, and correspondent for Anbar Satellite Channel, during his transport in Rutba city. 3- 14/1/2015: Alghadir satellite channel cameraman (Unknown name) was killed in Salahuldin. 4- 15/01/2015: ISIS militants carry out the death sentence against Ahmed Mahmoud, a reporter in Mosul. 5- 20/01/2015: IS militants execute Sama Mosul TV channel presenter Essam Mahmoud. 6- 23/01/2015 Ali Ansari was killed in crossfire 5 while covering fighting between pro-government Iraqi forces and militants from the Islamic State group in Muqdadiyah, Diyala province, north of Baghdad. Al-Ansari worked as a cameraman for Al-Ghadeer satellite television. Several other journalists were reportedly injured during the clash. correspondent van Al-Ghadeer Satellite Television vermoord tijdens gevechten in Muqdadiyah in de provincie Diyala. 7- 25/01/2015 Adnan Abdul Razzaq was killed by militants from the Islamic State group in Mosul on Jan. 25, 2015. Local reports indicated that he was executed by firing squad. Razzaq was a photojournalist for the Sama Mosul television channel. 8- 08/02/2015: Islamic State group militants shot Sama Mosul TV correspondent Qais Talal to death in the center of Mosul, the Iraqi Journalist Freedoms Observatory (JFO) reported. Talal – who had worked as a reporter for Shafaq news agency, Al-Rasheed TV and AL-Bayyna AL-Jadida newspaper, among others – reportedly was accused of spying and communicating with state-owned media, and reportedly had been detained for more than four months. 9-16/02/2015: Islamic State group militants reportedly executed photojournalist Ashraf Shamil Al Abadi Al-Abadi’s relatives, citing private sources, told the Iraqi Journalist Freedoms Observatory (JFO) that militants had killed him, but refused to announce his death or hand over his body. 10- 13/3/2015: ISIS executes the journalist Alaa Mazin Abdullah, correspondent for Sama Almosul in Mosul. 11- 15/03/2015: Islamic State group militants executed photojournalist Omar Younis Al Ghaafiqi, after having kidnapped him from his home east of Mosul, the Iraqi Journalist Freedoms Observatory (JFO) reported. The group did not hand over his body. Al-Ghaafiqi’s parents were reportedly told only that he had been executed for violating sharia court orders and leaking information to local and foreign media. Al-Ghaafiqi had worked as a photojournalist for different Mosul-based media before joining the Nineveh province Media Office. 12- 15/3/2015: ISIS executes the journalist Ahmad Hiskou, who works at Al mosul al youm journal in Mosul. 13- 16/3/2015: ISIS executes Media man Jamal Subhy who holds an Egyptian ID and lived in Mosul. 14- Op 16 maart vermoordt ISIS de bekende journalist Fadhil al-Hadidi nadat hij in juni 2014 in Mosoel ontvoerd was door de organisatie. 15- 25/3/2015: in unclear circumstances press photographer Ahmad Alawwady of Alahad channel, was killed by unidentified persons in Kerbala. 16- 27/3/2015: Alnujabaa satellite channel cameraman , Ammar Jasim, was killed in Tikrit during escorting military troops. 17- 8/4/2015: ISIS executes the journalist Ahmad Mahmoud Assafar, correspondent for Sama Almosul in Mosul. 18- 17/04/2015: Islamic State group militants executed veteran television journalist – Firas Yasin Al Jubori, « Firas Al Bahr » in Mosul after he refused to join the group, the Kurdistan Journalists Syndicate told Kurdish media outlet Rudaw. Some reports indicated that Al-Bahri had been held captive for nearly three weeks prior to his death. Separately, the Iraqi Journalist Freedoms Observatory reported that Al-Bahri, an alias for Firas Yasin Al-Jubouri, was killed on April 17, 2015. Iraqi media outlets reported that Al-Bahri was an engineer at the Nineveh Al-Ghad television station for more than a year before Islamic State group militants stormed the city and had worked for Mosul TV for five years before that. 19- 26/04/2015: Islamic State group militants shot dead Thaer Ali, editor-in-chief of the independent Mosul daily Rai al-Nas, on April 26, 2015 in Mosul. 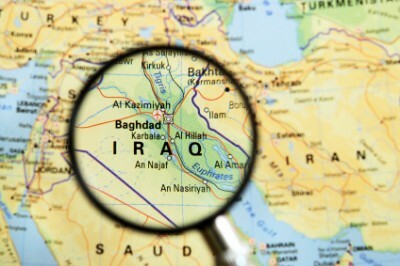 The Iraqi Journalists Syndicate reported that militants kidnapped Al-Ali on April 6 from a cafe and accused of him spying for the Iraqi government after finding contacts for government officials. 20- 02/05/2015: Ammar Al Shahbander, long-standing Chief of Mission in Iraq for the Institute for War & Peace Reporting (IWPR), holding the Swedish Nationality, was killed in a car bomb attack in the busy commercial area of Karrada in Baghdad. 21- 05/05/2015: journalist Raad Hamid al-Jubouri, presenter in the satellite channel Al Rasheed, was found dead in his apartment next to the Karkh district of Baghdad. 22- 05/05/2015: Majid al-Rubaie died in a hospital in Baghdad. Al-Rubaie was a TV reporter with Al Masar TV, was injured by sniper fire in Garma on April 29 while traveling with security forces to report on clashes between militants from the Islamic State group and government forces. 23- 18/05/2015: IS militants execute journalist of the Sama Mosul TV channel Firas Yasin al-Bahri in the city of Mosul after being held for twenty days on charges of anti-ISI activities. 24- 20/05/2015: IS militants carry out the death sentence against reporter Jassim al-Jubouri, who worked for the daily newspaper issued in Mosul. 25- 20/06/2015: Alahad satellite channel cameraman, Hussein Fadel Hassan, was killed during covering the incidents of Baiji. 26- 11/07/2015: Almawqif satellite channel correspondent, Hussein Alaa, was killed during covering the battles of Beiji. 27- 06/07/2015: Islamic State group militants executed newspaper reporter Suha Ahmed Radhi in Mosul, the Iraqi Journalists Syndicate (IJS) told Kurdish media outlet Rudaw. Reports indicated that she was detaining during a raid on her home east of the city and was held in captivity prior to her execution. According to the IJS, Radi had been sentenced to death by a sharia court for allegedly spying. 28- 16/07/2015: Militants from the Islamic State group executed journalist and cameraman Jalaa Adnan al-Abadi in Mosul, reportedly by firing squad, on accusations of “spying”. Al-Abadi worked as a cameraman for Al Mosuliya TV before joining the Nineveh Media Network as a photojournalist. The married father of two had been held since June 4, when militants who accused him of transmitting information about the Islamic State group to outsiders abducted him from his home. 29- 05/08/2015: Islamic State group militants executed writer and journalist vermoordt ISIS journalist Ghazi al-Obeidi, who had been kidnapped and put under arrest by the extremist militant group more than a week earlier, the Iraqi Journalist Freedoms Observatory reported. His family were summoned to the forensic unit to receive his body after he was shot to death. Al-Obeidi, 65, reportedly wrote columns published in local newspapers under the title “the fish man”, in reference to the prophet Jonah, a prominent symbol of Mosul. His writings focused on financial corruption and its links with violence and terrorism. 30- 09/08/2015: Islamic State group militants executed journalism student wordt journalist Zuhair Kinan Al-Nahass, less than one week after he was abducted from his home in eastern Mosul, the Iraqi Journalist Freedoms Observatory reported. Al-Nahass, a second-year student at the University of Mosul, was reportedly killed after local media picked up his photograph of a burned-out Islamic State vehicle hit by an international coalition missile. 31, 32, 33- 11/08/2015: ISIS organization in Mosul executed the following journalists, Medhat Hassan al-Obeidi , Waddah Hassan al-Obeidi en Samir Hassan al-Obeidi in the city of Mosul. The three journalists were brothers from the population of Hamam al-Alil area south of the city. The three journalists were executed due to providing the Iraqi and foreign media institutions with pictures and information from areas under control of the organization. 34- 16/08/2015: Islamic State group militants executed journalist Yahya al-Khatib in Mosul following a summary trial, according to an official of the Kurdistan Democratic Party (KDP) in Mosul, Kurdish media outlet Rudaw reported. A sharia court reportedly convicted Al-Khatib of spying for the Iraqi government and he was executed by firing squad later that day. Al-Khatib had worked as a sports reporter and TV presenter at Al-Mosuliyah and Nineveh Al-Ghad satellite channels, until the city fell into the hands of the group, the Iraqi Journalist Freedoms Observatory reported. 35- 21/08/2015: Islamic State group militants executed satellite television journalist Sabah Muhammad and chief engineer Waleed Abdullah in Mosul, reportedly for « violating the group’s regulations », independent Syrian press agency ARA News reported. 36- 21/08/2015: Islamic State group militants executed satellite television journalist Waleed Abdullah in Mosul. 37- 25/08/2015: Islamic State group militants executed cameraman at Reuters, Al-arabiya and Salahuldin Agencies in Mosul Adel Saegh, independent Syrian press agency ARA News reported. He was reportedly sentenced to death by a sharia court for spreading “anti-IS propaganda”. 38- 05/09/2015: Islamic State group militants executed Iraqi journalist Ikhlas Ghanim, independent Syrian press agency ARA News reported. Ghanim was reportedly shot dead in front of a crowd on charges of supporting ‘propaganda’ against the group. Local sources said the militants killed Ghanim because she was reporting on atrocities committed by the group. 39- 10/09/2015: the body of freelance journalist Haidar Ghazi al-Rubaie, was found hours after he was kidnapped in Nasiriyah in south Iraq by unidentified gunmen. The body was found dismembered and wrapped in a blanket. Rubaie had returned home from exile since a few days. 40- 12/09/2015: Islamic State group militants executed Iraqi journalist Yahya Abdul Hamad, the director of Mosul-based broadcaster Al-Rashid, in Mosul. Turkey’s Anadolu Agency reported that the Iraqi Journalistic Freedoms Observatory said that the killing came hours after Hamad was abducted from his home. Following the abduction, militants reportedly searched his house and seized a computer and other devices. They also reportedly told the journalist’s family upon releasing his body that any ceremony mourning his death would draw punishment. 41- 15/09/2015: journalist Nazim Naeem Qaisi, who worked as the editor in the Media Office of the Ministry of Trade, died 14 September in the explosion of an explosive device in his car in Karkh district in Baghdad after leaving the headquarters of the Ministry of Trade. 42- 20/09/2015: IS militants kill photojournalist Qahtan Salman, who worked for Sama Mosul Channel after he was kidnapped from his home in the neighborhood of the city center under the pretext of disclosing information about the movement. 43- 23/09/2015: IS militants executed journalist Qahtan Adnan al-Naimi, after he was arrested from his home in Sugar Nizqh in the northern city of Mosul, for not cooperating with the organization. 44- 04/10/2015 IS militants carried out the death sentence against Marwan Younis, journalist with Sama Mosul satellite channel, several months after he was kidnapped. 45- 30/10/2015: The body of journalist Saab Majid, reporter with Iraq Times was found two days after he was kidnapped from the city of Basra where his body appeared with signs of torture before being shot. 46- 13/11/2015: The body of photojournalist Imad al-Jubouri, who worked at the Furat satellite channel was found found, five days after he was kidnapped when he came out of the station’s office in Najaf. 47- 13/11/2015: Islamic State group militants executed Muhannad Aligaidy, correspondent for Sada Press in Mosul. 48- December 2015: IS militants executed newspaper delegate Baher Adnan Rashid in Mosul after he was kidnapped from his home east of Mosul under the pretext of lack of loyalty for the organization. Dirk Adriaensens is a member of the executive committee of the BRussells Tribunal. Between 1992 and 2003 he led several delegations to Iraq to observe the devastating effects of the UN sanctions. He was a member of the International Organising Committee of the World Tribunal on Iraq (2003-2005). He is also co-coordinator of the Global Campaign Against the Assassination of Iraqi Academics. He is co-author of Rendez-Vous in Baghdad, EPO (1994), Cultural Cleansing in Iraq, Pluto Press, London (2010), Beyond Educide, Academia Press, Ghent (2012), Global Research’s Online Interactive I-Book ‘The Iraq War Reader, Global Research (2012), Het Midden Oosten, TheTimes They are a-changin ‘, EPO (2013) and is a frequent contributor to Global Research, Truthout, Al Araby, The International Journal of Contemporary Iraqi Studies and other media.